In this fast-paced session, we’ll show you how students are using Amazon Alexa in the classroom and at home for learning, leisure and recreation. You’ll also get tips and tricks for using Amazon Alexa to support students in your own classroom. 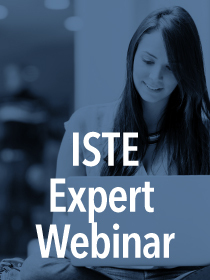 This ISTE Expert Webinar is presented by Brian Friedlander of the ISTE Inclusive Learning Network.